Howdy would youu mind srating which blog platform you’re working with? The reason I ask is because yur design and style seems different then most blogs and I’m looking for something unique. P.S Apoloigies for getting off-topic but I had to ask! 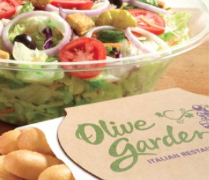 The Olive Garden coupon already expired 4/20/14. What good is this offer?